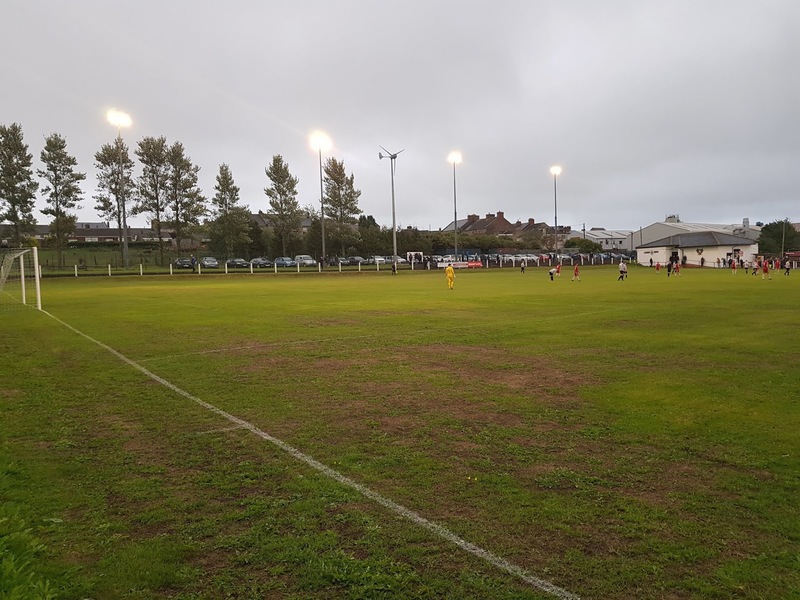 My nineteenth ground of 2018 was on Friday 17th August at Ironworks Road in Tow Law, County Durham. 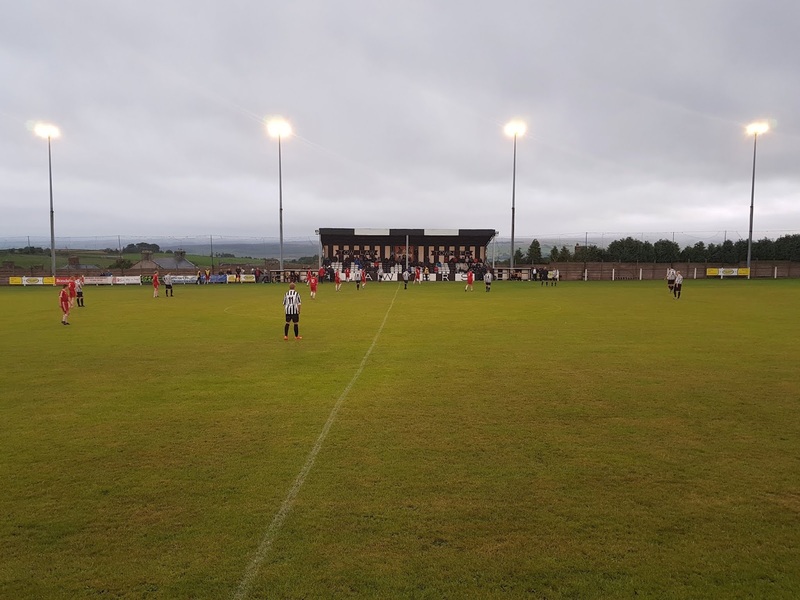 The match was Tow Law Town vs. Brandon United in Northern League Division Two. Ironworks Road is in the north of the small rural town of Tow Law. Off the A68 road which runs through the town the ground is bordered by housing on the north-east and south-west sides with fields on the north-west end and across the road on the south-east end. The venue is 9.5 miles north-west of the nearest railway station at Bishop Auckland though Durham station 12 miles west of Tow Law is better served by transport connections. The venue has been home to Tow Law since the 1893 when they left their former Church Road home for the newly built site. The only exception to this was the 2004/05 season when the side were forced to groundshare after subsidence issues with the pitch. The afforementioned pitch slopes downhill from the north-east side. This side has an uncovered six-level concrete terrace for the southern section up to the half-way line before reducing to a three-level concrete terrace for the remaining half. 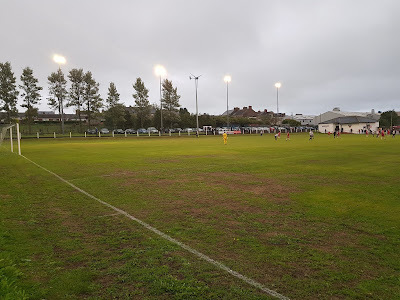 There is a metal fence at the back of the terracing to separate from the club car park but with the sloping pitch you can actually still get a decent view of the action from the car park. The opposite side of the pitch has a 133 seat stand by the half-way line. This all-seater structure has a supporting beam down the middle of the stand to hold up the roof. The two dugouts are either side of the stand and there is also uncovered standing towards the south-east end. The area towards the northern-western end is not a designated spectator area. The south-east end is predominantly uncovered flat concrete with a small five-level terrace behind the goal. One side of this terrace is a building contains dressing rooms and spectator toilets and to the other side the main club building including a food outlet in the corner. A three-level concrete terrace takes up the entirety of the north-west end. At the back of the terracing there are a single row of 13 seats in both corners pushing the seating capacity of the venue to 159. 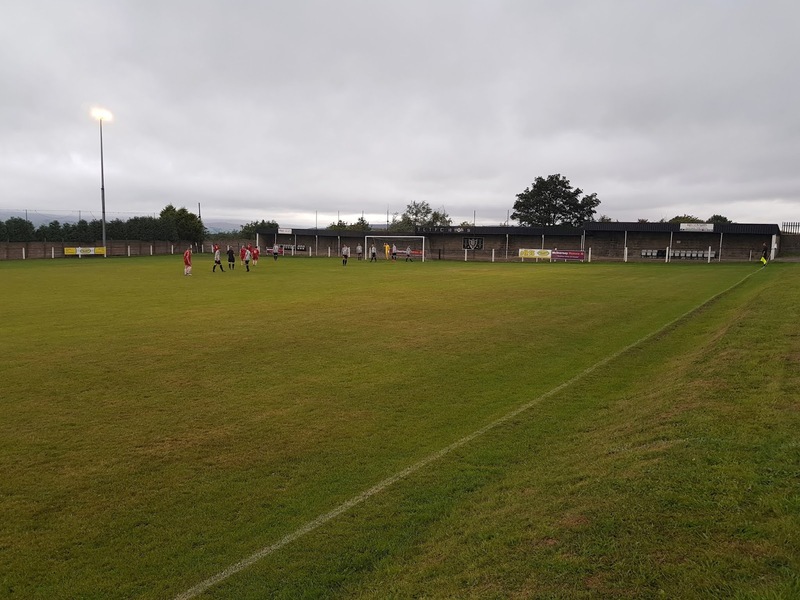 The visitors started proceedings off well and in the 8th minute Lee Blades did well down the left before cutting inside the area and shooting off the outside of the post. A couple of minutes later more good work down the left saw Brandon take the lead - this time it was Jack Carr who cut inside and unleashed a terrific shot across goal into the top corner. Brandon's lead lasted only six minutes as the a Tow Law cross from the right found Dean Thexton who was able to bundle the ball in on the goal line. The turnaround was completed in the 20th minute when a corner to the right side of the box was knocked back into the centre for Dan Kirkup to prod home. On the half-hour mark the visitors should have drawn level again when Jordan Lee played Jack Carr through on goal but Carr clipped his shot just the wrong side of the far post. They were left to rue this as they went on to concede two quick-fire goals just before the break - Dan Kirkup was able to grab his second in the 37th minute after he met a corner with a bullet-header into the roof of the net and in the 39th minute Dean Thexton netted again after dispatching Kai Hewitson's cross from the right. The start of the second half was a quieter affair with little action until the final quarter of the game when another spate of goals occurred. In the 75th minute Brandon reduced the deficit when a well placed ball down the left wing allowed Lee Blades acres of space and he took his time before slotting into the bottom corner. 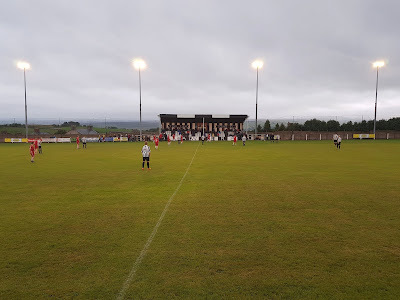 Tow Law's lead went back up to three again in the 81st minute when a corner to the back post found its way to Dan Kirkup who shot into the roof of the net to complete a hatrick for the defender. 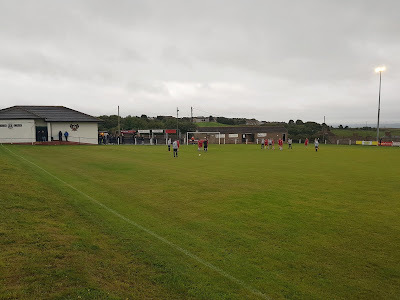 A minute later and there were two Tow Law players with hatricks as a ball in from the right found Dean Thexton who smashed in off the underside of the bar to grab his third goal. 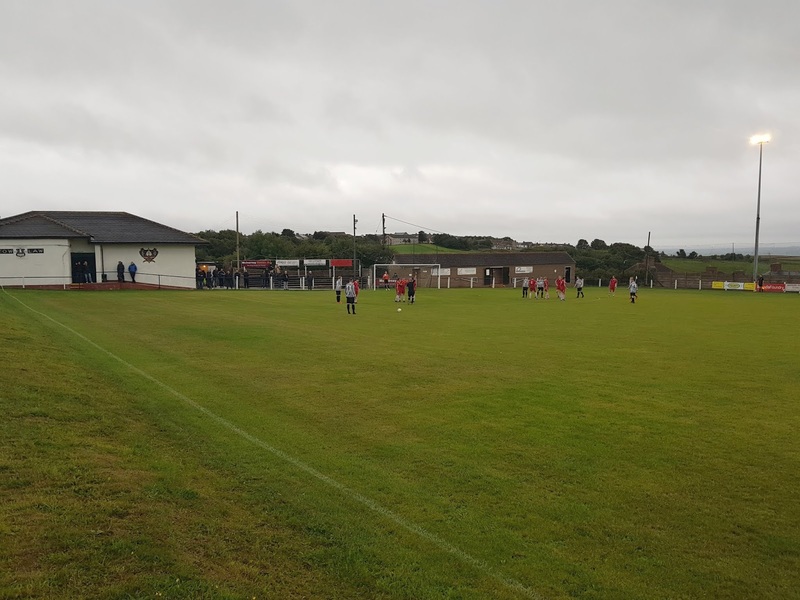 Brandon may have felt a little aggrieved to have been on the end of such a heavy defeat but taking their eye off the ball for a couple of minutes towards the end of both halves saw them ruthlessly punished by a clinical Tow Law.